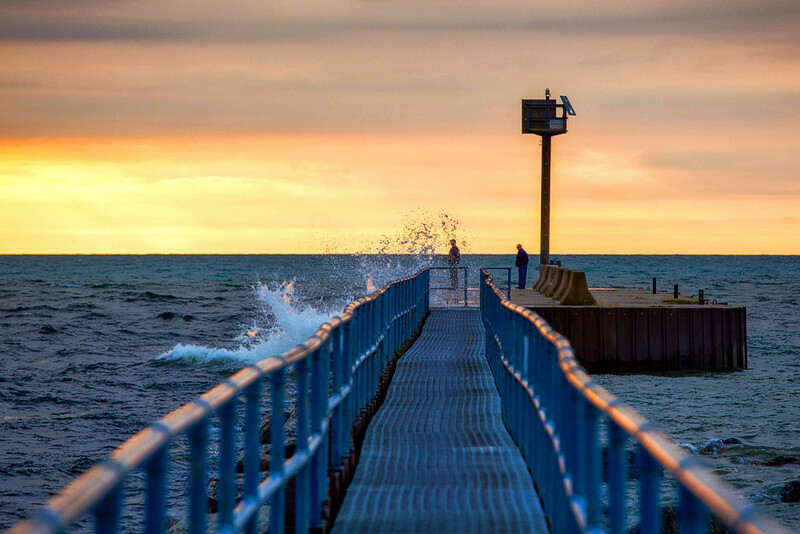 We spent lots of time on the Canadian side of Lake Huron… so what’s the US side like? Is the water clear, beautiful shades of blue, and cold? We got a little glimpse while in Mackinaw City and were anxious to explore the coast further. We found the same beautiful water, lots of open and natural spaces, and small towns with casual vibes. From Mackinaw City we drove south east on HWY 23 along the coast of Lake Huron. We highly recommend this route… we were able to see Lake Huron most of the drive. As we drove we noticed lots of natural spaces by the water and public access points to the water. We passed through some notable spots… Rogers City, Alpena, and Thunder Bay… which were all quaint and casual. We enjoyed our time over the last couple weeks exploring the towns of Lake Michigan, but we aren’t big shoppers and prefer places that aren’t crowded… with Mackinaw City in the rearview mirror we reflected that the Lake Huron coast is more our speed. There aren’t as many dining options and the towns aren’t perfectly manicured, but that’s fine with us… give us a hiking trail or an empty beach anytime! We chose Oscoda as our first stop because of the campground options. After 7 weeks on the road we wanted full hook-ups and a clean campground. We have great luck with KOA campgrounds and there’s one in Oscoda. We were very pleased with the Oscoda KOA… we had a nice site, the campground and washrooms are really clean, and the camp store and staff are great. For kids, there’s a bouncing pillow, sizable playground, and a big game room with arcade games and other games like pool. Our first night in Oscoda we had dinner at Wiltse’s Bew Pub and Family Restaurant. The reviews vary and we weren’t sure what to expect… we were pleasantly surprised. 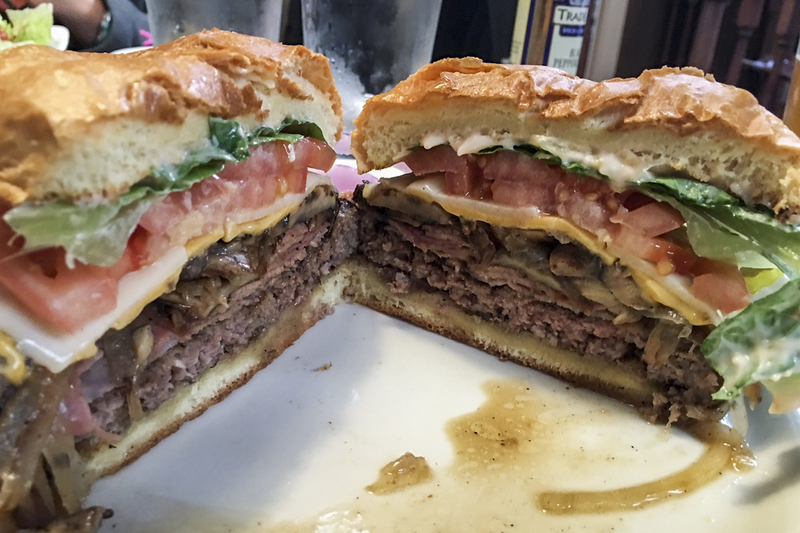 Wiltse’s has an interesting menu… it’s mostly bar food but there are some great fish options. Todd and I shared seared tuna bites and they were really good. 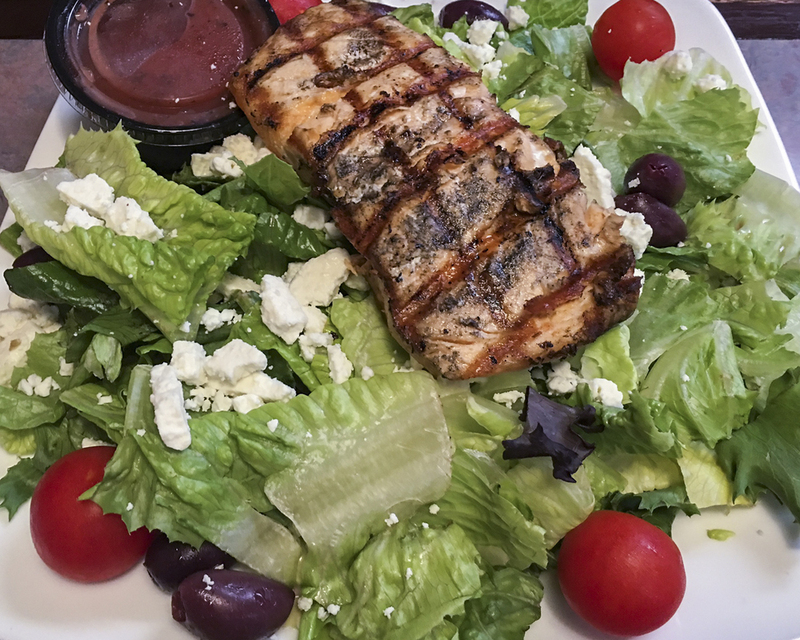 I had the Grecian salad which includes grilled salmon, which was also really good. Todd had “The Mess” burger which was a mess of good stuff! Daniel had chicken fingers. The eastern coast of Michigan/western coast of Lake Huron is known as the “sunrise coast” and Todd was eager to get out and shoot it. The weather wasn’t ideal, but he managed to get out to catch some really dramatic light before a rainy morning. When he returned we decided to get out of the camper and go out for breakfast at the Red Rooster Restaurant about 15 minutes north in Greenbush. Todd and I had omelettes and Daniel had a breakfast sandwich. Everything was good and the portions were huge. One of the coolest things about traveling is stumbling on great local events. When we got to Oscoda we found out that the Au Sable River International Canoe Marathon would finish around 11am Sunday (our first full day in Oscoda) in Oscoda. The Au Sable River International Canoe Marathon starts in Grayling, MI, 120 miles from Oscoda, and takes place over night! After breakfast we went to the Au Sable River to watch the end of the race. All I can say is WOW! Talk about some amazing athletes! The canoers rowed for 14+ hours and the finish came down to half a canoe length… it was really exciting! After enjoying the canoe race and surrounding festival we took a drive up River Road, also known as the River Road National Scenic Byway. We stopped at the Lumberman’s Monument and took a hike on the Highbanks Trail. The Highbanks trail is suitable for most hikers. We were a little disappointed that it’s not very close to the river, but we still enjoyed the hike. The Lumberman’s Monument includes a nice visitor center, clean washrooms, and picnic tables. Our second day in Oscoda we planned a canoe trip on the Au Sable River. 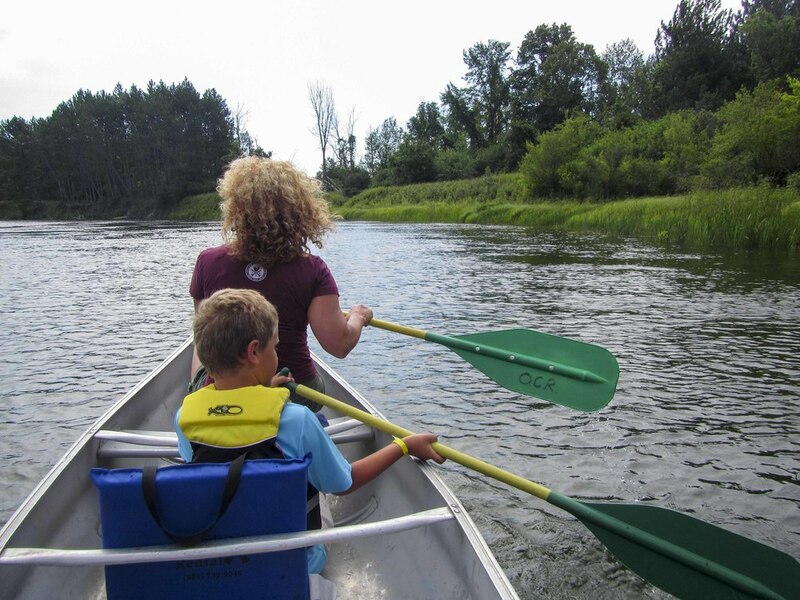 There are several canoe rental companies and we chose Oscoda Canoe Rental, which is located on River Road. 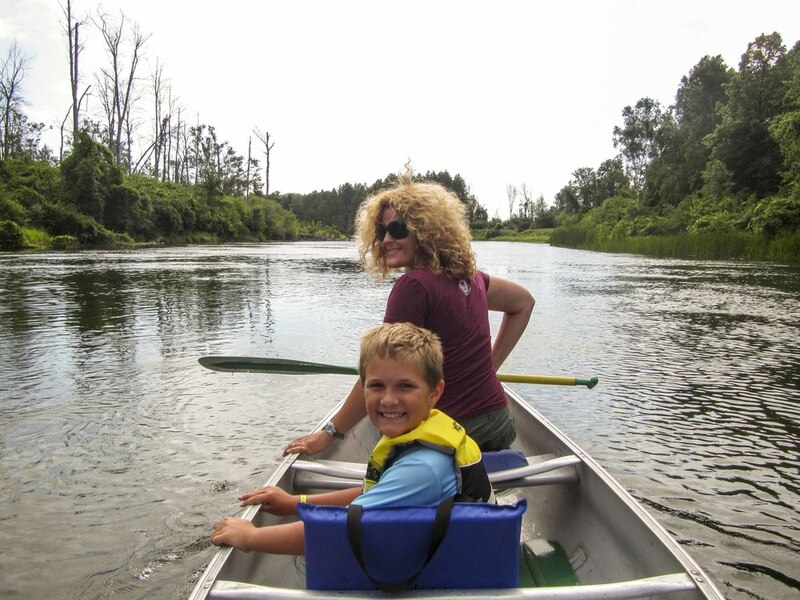 Oscoda Canoe Rental offers a couple options where customers are provided transportation to river access points and then canoe back to Oscoda Canoe Rental. We hadn’t canoed together before so we chose the 2 hour option for $35. We had a fantastic experience. Everyone at Oscoda Canoe Rental was great and the canoe trip was really fun. Todd and I enjoy exercise and paddled hard… so our 2 hour trip was quite a bit shorter. If we do it again, we’ll book the 4 hour option and bring supplies for various stops along the river. You may be wondering if we spent much time at the beach… Todd shot the sunrise both days. The weather wasn’t great… a bit cool and windy… so we didn’t spend any family beach time. We did note 2 public beaches in Oscoda and a sizable public beach in Tawas, which is about 10 minutes south of Oscoda. 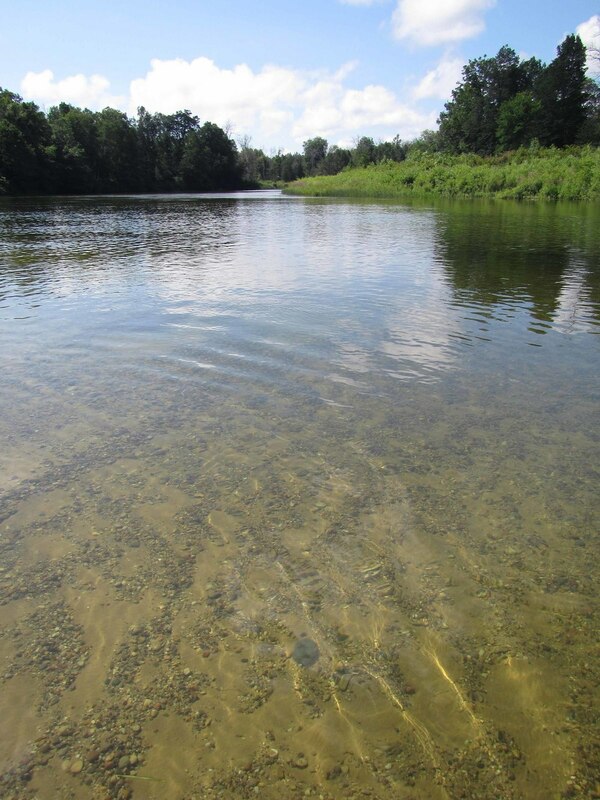 Interested in visiting the Oscoda area? There are various motels and some campgrounds on HWY 23 down the coast. We noted lots of cottage rentals. There are multiple grocery store options, fast food spots, and various family restaurants and Bar/Grill types of places.